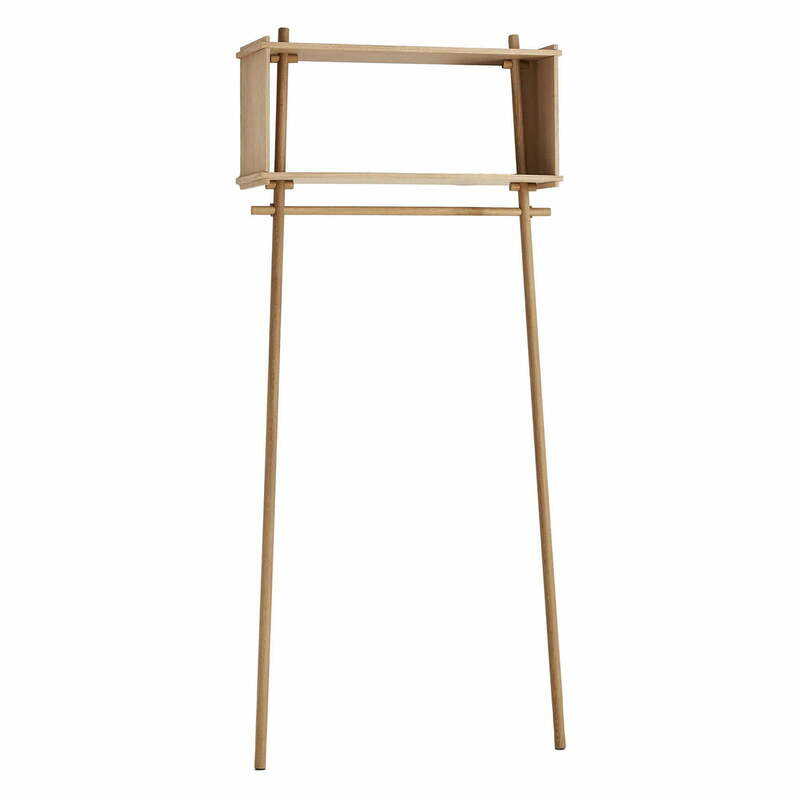 Töjbox by Made by Michael for Woud is the perfect and multi-functional coat stand made of wood for the hallway, the bedroom or the dressing room. Jackets and clothes can be hung on clothes hangers on the rail of the Töjbox and the top box provides room for accessories, shoes or the umbrella. No nails, screws or glue is used to set up the clothes rack, only small wooden dowels are needed, to hold the design together. In addition do the overlapping wooden rails serve to hang up jackets and scarves. 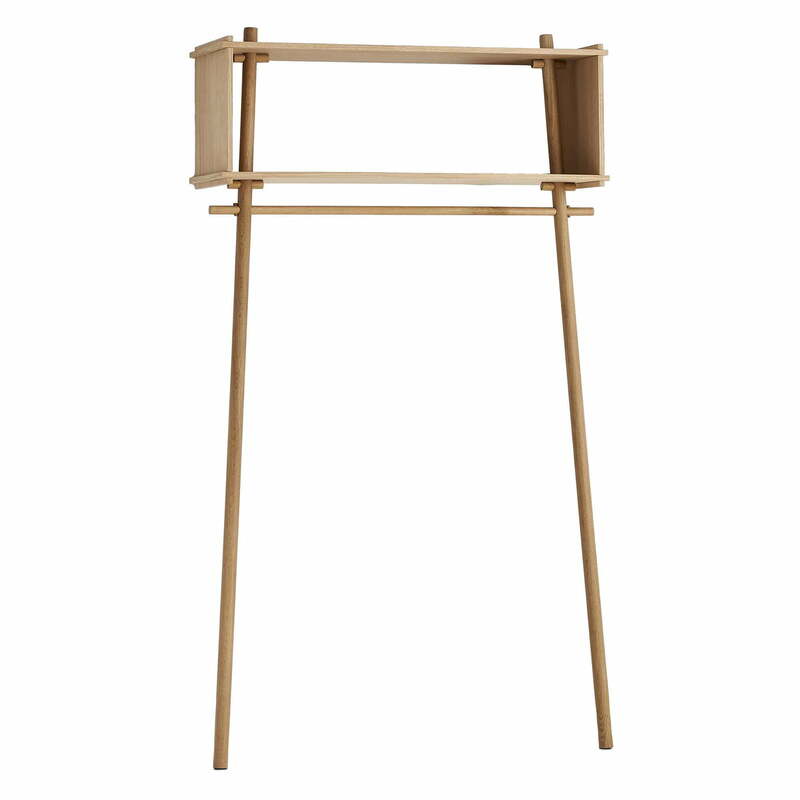 The Töjbox coat stand by Woud is available in various types of wood and colors, as well as in different sizes. Product image of the Töjbox Small from Made By Michael for Woud in black. 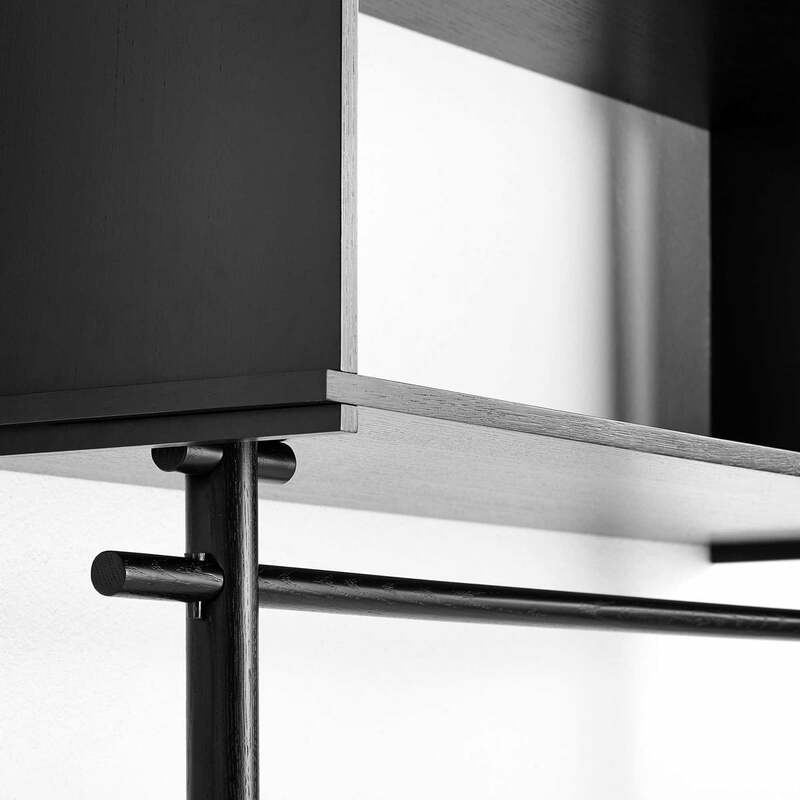 No nails, screws or glue are used for the Töjbox coat stand from Made By Michael for Woud, but only the construction itself and small wooden dowels keep the design together. Product image of the Töjbox by the company Woud in oak soaped. The design for the multi-functional coat stand comes from the Design Studio Made By Michael. 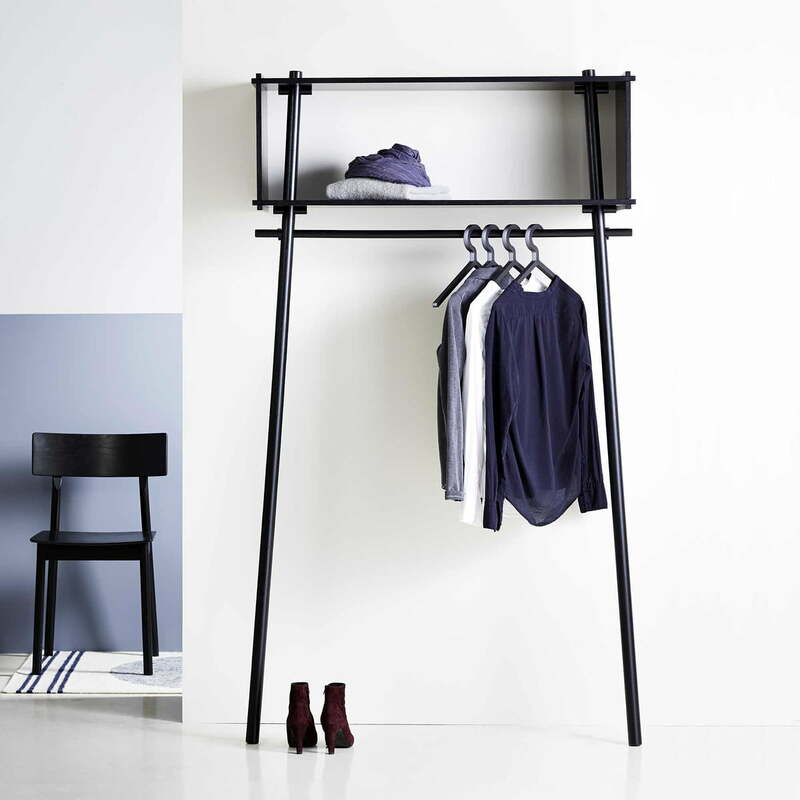 Clothes such as jackets and scarves can be hung on the overlapping wooden bar of the Töjbox coat stand designed by the design studio Made By Michael for Woud. 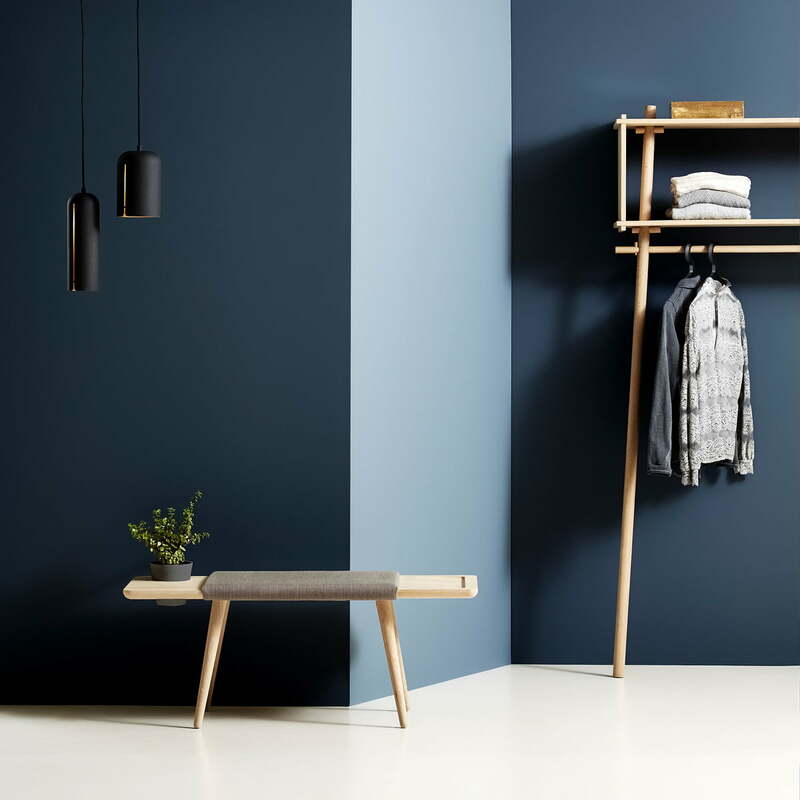 Töjbox by Made by Michael for Woud is the perfect and multi-functional coat stand made of wood for the entrance hall, the bedroom or the walk-in wardrobe. 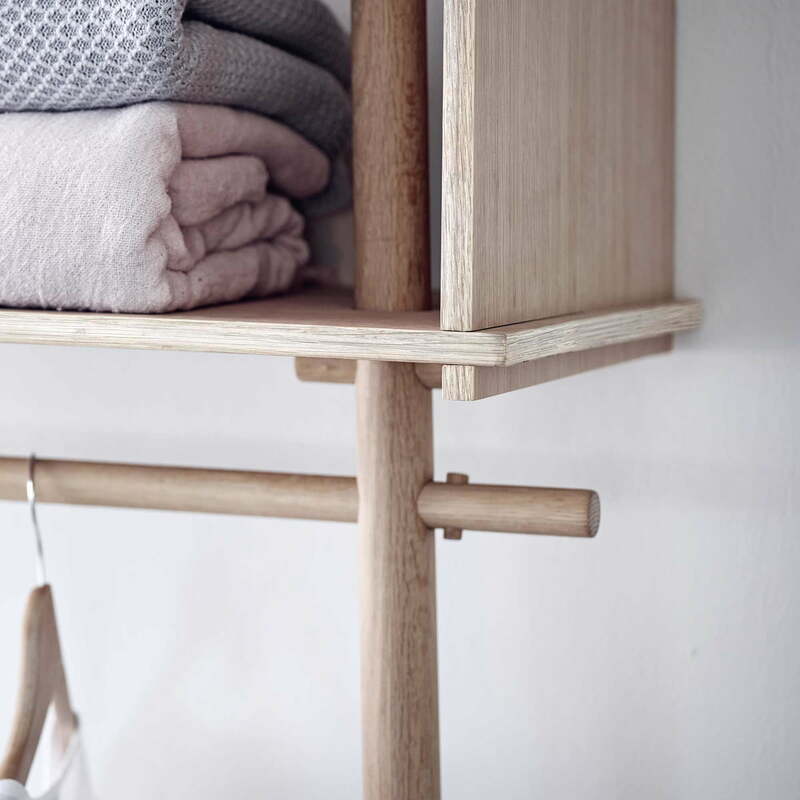 The Töjbox by the manufacturer Woud made of oak offers space on the clothes rail for the white shirt and the box at the top has space for blankets and small boxes. 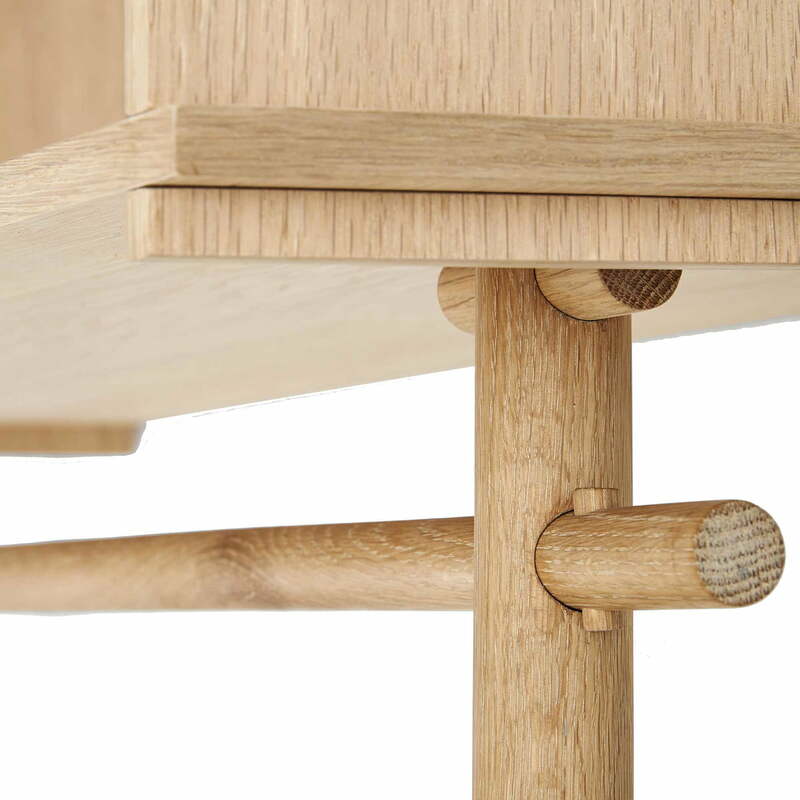 No nails, screws or glue are used for the Töjbox coat stand from Made By Michael for Woud, but only the construction itself and small wooden dowels keep the design together. The Töjlbox coat stand and the Illusions Hangers together with the Gap pendant lamp in Short and Tall by Woud compose a harmonious dressing room situation. The minimalist Pause dining chair by Office KN for Woud in black is a fantastic addition to the multifunctional Töjbox coat stand from Made By Michael for Woud .